Who doesn’t love a pizza with the perfect balance of chewy and crisp texture, a hint of unique smoky flavor, and the artisanal appearance of a hearth-baked pie? These are the distinct, mouth-watering characteristics only made possible when pizzas are cooked in a high-heat, wood-fired oven. Unfortunately, the retail frozen pizza market doesn’t offer many options in wood-fired pizzas. Venues including c-stores, delis, and take-n-bake operations don’t have the space or budget to install a commercial wood-fired oven. Additional limitations include finding skilled labor that knows how to properly cook wood-fired pizzas using such an oven. Alive & Kickin’ is proud to announce the arrival of Authentic Wood Fired Crust. 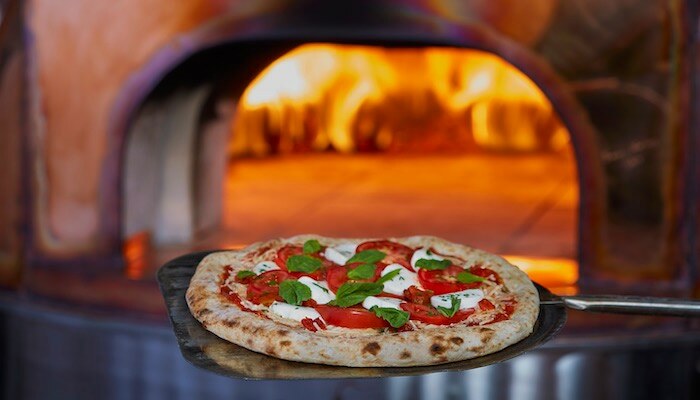 This innovative new product means restaurants, manufacturers, and commercial kitchens can now offer a premium authentic wood-fired pizza crust to their customers without needing the wood-fired oven itself. How did we do it? 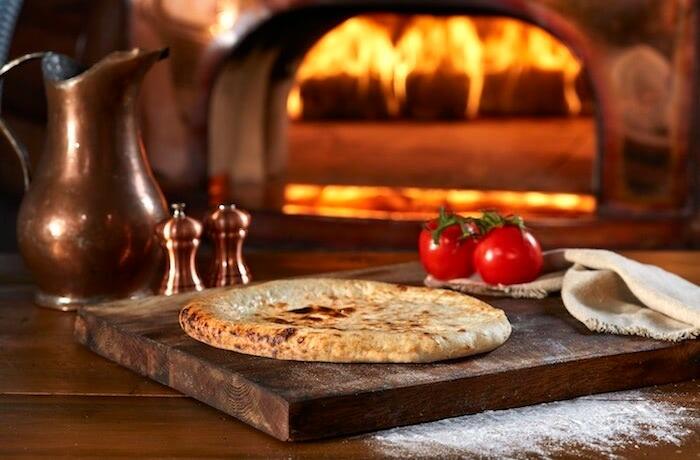 First, we crafted a unique oven with a lava stone deck, fired with real wood to create one-of-a-kind, delicious parbaked wood-fired crusts. Then we used only premium quality, clean-label ingredients—no additives, preservatives or conditioners—combined with a long fermentation period to ensure the crust has a robust flavor and aroma. Watch our feature video to learn more! Because our crusts are parbaked, they have a very long shelf life and can be kept frozen or refrigerated. 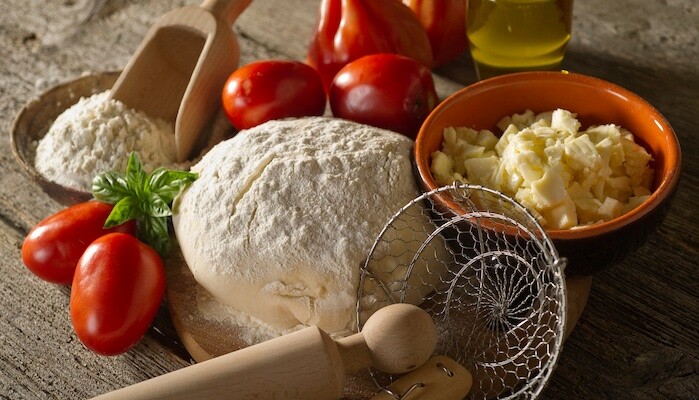 Preparation is quick and easy, and the finished pizza can be baked in any type of oven with no special staff training required. Most importantly, the unmistakable flavors, texture and structure of the wood-fired crust are set, and those traits shine through in the final preparation. 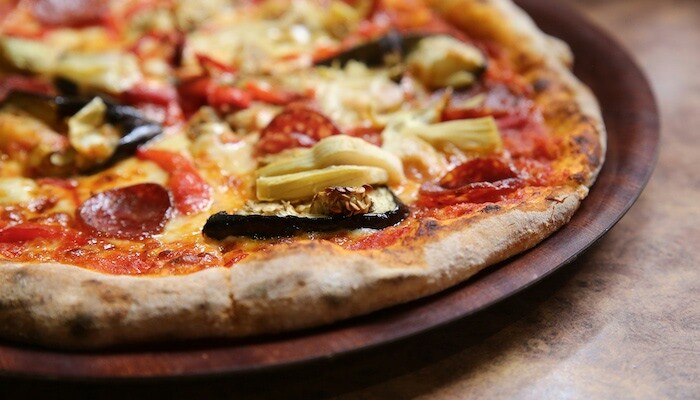 The launch of this new product means that foodservice operators’ pizza menus are no longer limited by the type of ovens they have. They can now offer authentic wood-fired crusts, not just “wood-fired style or flavor,” without the added expense or space required to install a wood-fired oven. Learn more about the variety of crust options that exist by downloading our free eBook, Pizza Crust Types Comparison Guide. Simply click the button below to get your copy.